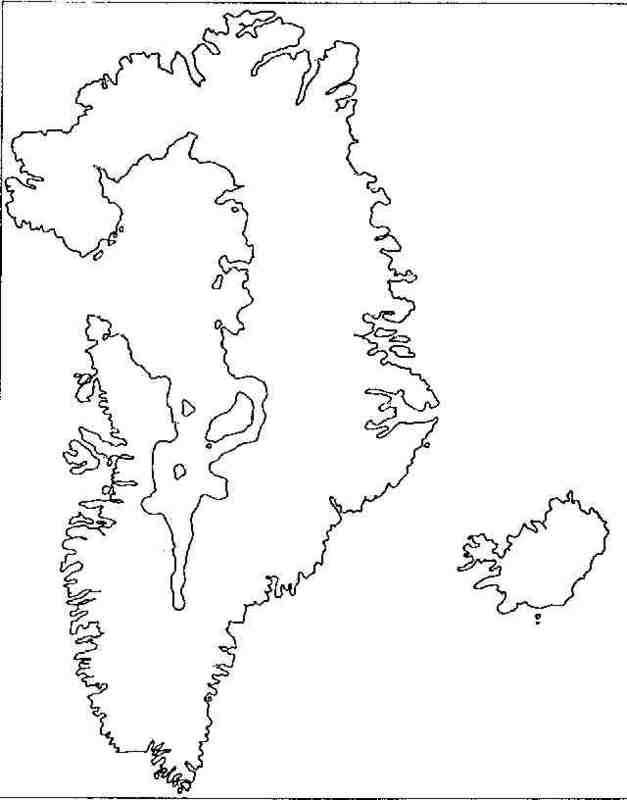 A subglacial topographic map of Greenland, showing the sea-level contour. Source: Charles Hapgood, Maps of the Ancient Sea Kings, 2nd ed., (1979), p. 131. Back to Figures for "Minds in Ablation". Last modified by pib on September 12, 2000.